CINCINNATI, OH. — Former MLB player and Cincinnati Reds manager, Pete Rose, will be the featured guest speaker at the Mariemont Sports Stag scheduled for Feb. 3rd. The event is being held at the 20th Century Theatre located at 3021 Madison Rd, in Cincinnati, Ohio. 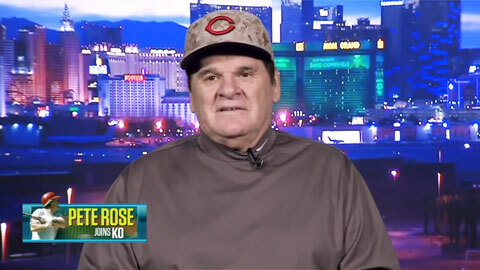 Photo shows former MLB player and Cincinnati Reds manager, Pete Rose, speaking in an interview with Keith Olbermann in Oct. 2013 about his progress on his MLB reinstatement. SOUTHINGTON, CT. — The Southington Chamber of Commerce has named former Red Sox and Mets baseball manager Bobby Valentine their guest speaker at their upcoming celebrity supper scheduled on Jan. 7th at the Aqua Turf Club located in Plainsville, CT. The event will begin at 6:30 p.m. with a dinner at 7:15 p.m. Tickets are $30 for chamber members and $35 for guests. A silent sports auction hosted by Awards of Elegance will also take place. 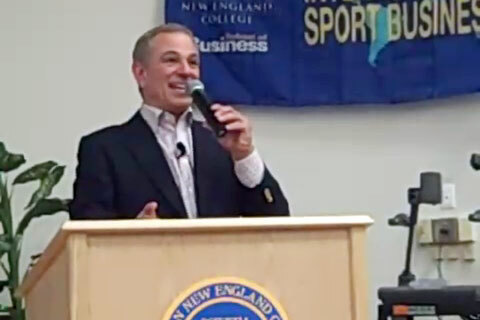 Photo shows Bobby Valentine, speaking in 2009 at Western New England College as part of the Center for International Sport Business “For the Love of the Games” speaker series. STATE COLLEGE, PA. — Former Major League pitcher and current MLB Network analyst, Mitch Williams, has been named the keynote speaker at the Penn State annual First Pitch Dinner to be held on February 1, 2014. The event will host a kid’s clinic from 10 a.m. to noon on Saturday morning followed by a practice from noon to 2 p.m. A VIP reception and silent auction are scheduled to begin at 5:30 p.m. followed by the dinner and program at 6 p.m. Penn State head coach Rob Cooper will also provide remarks during the banquet. Photo shows former MLB pitcher, Mitch Williams, speaking with Dan Patrick on Sept. 9, 2013. MEMPHIS, TN. 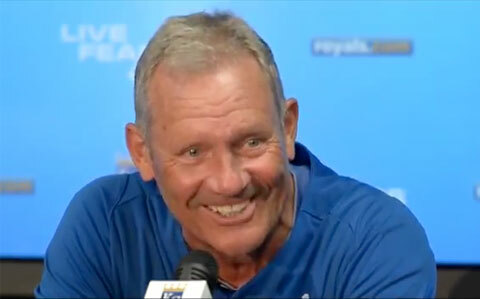 — Baseball Hall of Famer, George Brett, will be the keynote speaker at the annual Meet the Tigers Baseball Banquet scheduled on Jan. 17, 2014 at the on-campus Holiday Inn, located at 3700 Central Ave in Memphis, TN. Tiger baseball coach, Daron Schoenrock, told the media that University of Memphis interim president Brad Martin’s friendship with Brett was a key factor in securing Brett’s appearance at the banquet. Photo shows George Brett speaking to the media in July 2013 about the “Pine Tar Game” against the New York Yankees that was played 30 years ago on July 24, 1983. 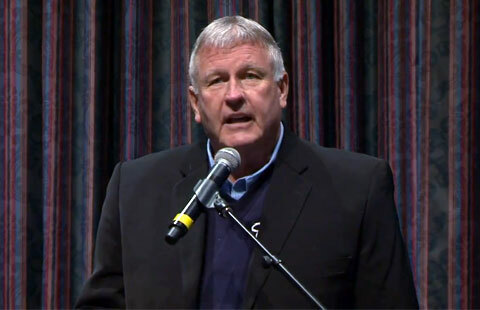 Retired MLB pitcher, Tommy John, has been named the guest speaker at the inaugural ‘Roadrunner Baseball Hot Stove Dinner’ scheduled on Saturday, Feb. 8 at the Kern County Fairgrounds. The event, presented by Motor City Auto Center, features special guest speaker Tommy John, former Major League Baseball player for the Los Angeles Dodgers. APPLETON, WI. — University of Wisconson athletic director, Barry Alvarez, was the keynote speaker on Tuesday, Dec 3, at Fox Valley Technical Institute in Appleton. Alvarez, 66, spoke about his first-year coach Gary Andersen, the upcoming BCS Championship Game, his role on the new College Football Playoff Committee, Russell Wilson and his future at Wisconsin. 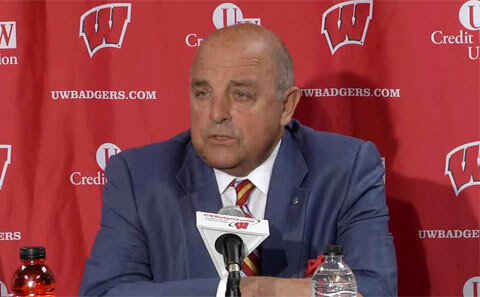 Photo shows University of Wisconsin athletic director, Barry Alvarez, speaking to the media at the college football playoff press conference in October 2013. Bobby Cox, former MLB third baseman and manager, speaks with the Baseball Hall of Fame in his first interview after being elected to the Induction Class of 2014. He talks about getting the call and preparing for the Summer of 2014. 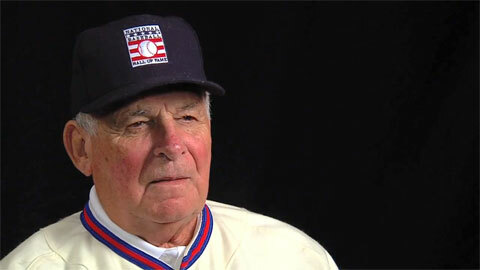 Photo shows Bobby Cox speaking in a 2013 interview with the Baseball Hall of Fame.